“It’s just heartbreaking when that’s not the case. But our technology could vastly improve the odds that surgeons really do remove every last trace of cancer during surgery,” Eberlin added on the university’s website on Wednesday. The study’s abstract said tests taken from 253 human cancer patients took about 10 seconds and were shown to be accurate 96 percent of the time. The tests included tissue related to breast, lung, thyroid and ovarian cancers. The pen releases a tiny droplet of water after it is touched onto a suspected cancer cell. Chemicals inside the living cells are sucked back into the pen after moving into the droplet. 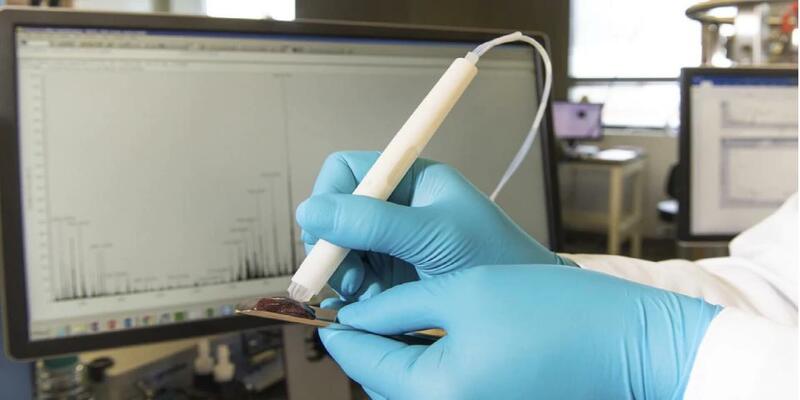 Once the pen is plugged into it, a mass spectrometer is used to measure the mass of thousands of chemicals every second. A chemical fingerprint is produced which tells doctors whether it’s a healthy tissue or cancer. The challenge faced by surgeons is to determine the border between the normal tissue and the cancer but the boundary between a diseased and healthy tissue can be blurred in some tumours. However, the pen can help doctors ensure that the cancer is not left behind. There is a complication while removing the tissues because if too little is removed then the cancerous cells can grow into another tumour and if too much is taken then there is a chance of damaging the brain. “What’s exciting about this technology is how clearly it meets a clinical need. The tool is elegant and simple and can be in the hands of surgeons in a short time,” said Livia Eberlin, an assistant professor of chemistry at the University of Texas, Austin while talking to BBC.